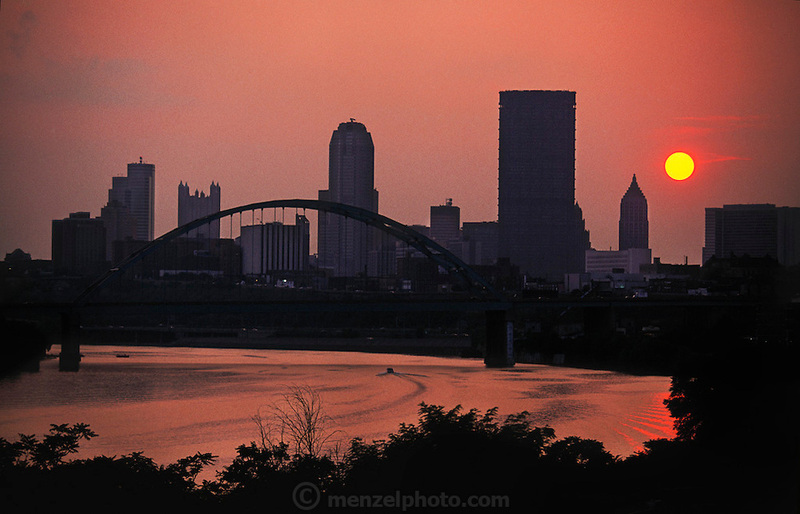 Sunset over the skyline of Pittsburgh, Pennsylvania. In the center is the Fort Pitt Bridge over the Monongahela River. USA.